Real Leather Studio is a company dedicated to handmade high quality leather goods from 1984. 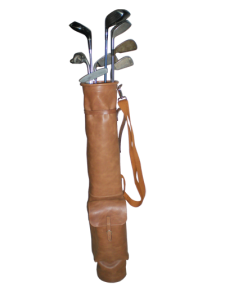 We have centered our production in high quality leather golf products from 1995. We are placed in Ubrique (Cádiz) in Spain. A small town located in the south of Europe which is famous by its dedication to make leather goods. 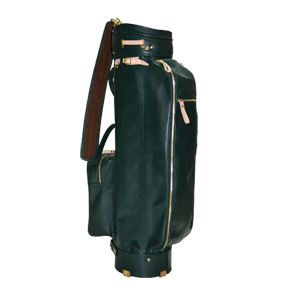 Our craftsmen handmade our leather golf bags in plain high quality leather or high quality leather combined with canvas. 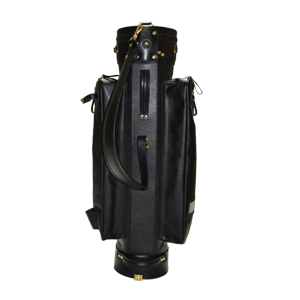 All our leather golf bags are made with a fine manufacturing giving as a result an art work. Our professional curiosity has caused we investigate and develop our accessories collection for Golf, being the first Spanish company that has developed this idea by making designs for this famous sport and making a huge range of different accessories for it. This collection had a great success in the RYDER CUP celebrated in Valderrama Golf Club in 1997. 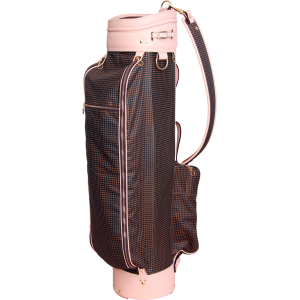 Wonderful, exclusive and elegant leather golf bag totally handmade combining high quality ostrich leather with high quality cowskin spanish leather. It is reinforced in its base and with 8 inches in the top part to secure its durability. 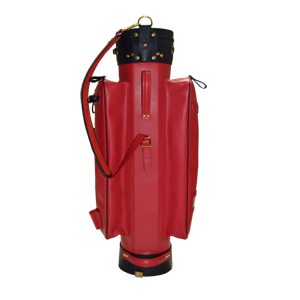 You will be able to carry all the necessary for any round with your friends or professional. 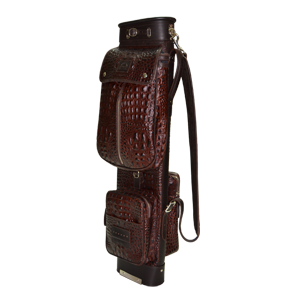 Wonderful, exclusive and elegant leather golf bag totally handmade combining high quality crocodile leather with high quality cowskin spanish leather. It is reinforced in its base and with 8 inches in the top part to secure its durability. 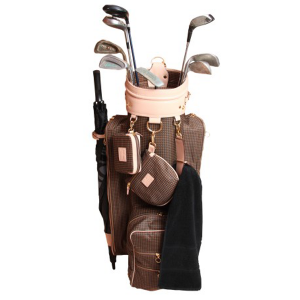 You will be able to carry all the necessary for any round with your friends or professional. 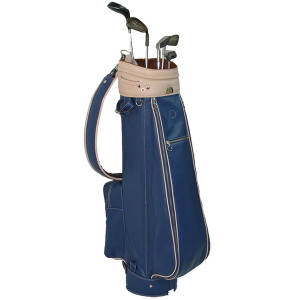 Wonderful, exclusive and elegant leather golf bag totally handmade combining high quality saffiano leather with high quality canvas. It is reinforced in its base and with 8 inches in the top part to secure its durability. 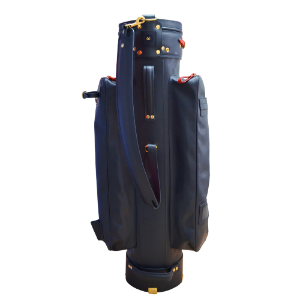 You will be able to carry all the necessary for any round with your friends or professional. 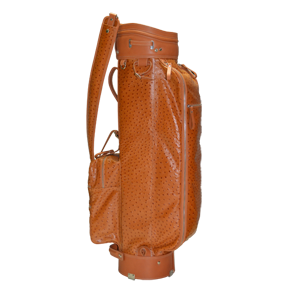 Luxurious leather golf bag totally handmade combining high quality saffiano leather with high quality cowskin spanish leather. The big lateral pockets will allow you to carry your clothes during the round. It is rainforced on its base and with a top part of 8 inches to secure its durability. You can customise it with your initials, logo, etc. 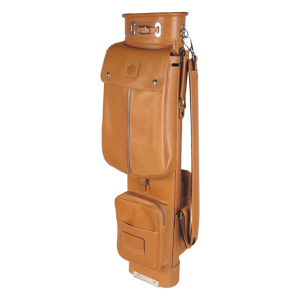 Luxurious, elegant and functional leather golf bag totally handmade combining high quality saffiano leather with high quality cowskin spanish leather. The big lateral pockets will allow you to carry your clothes during the round. It is rainforced on its base and with a top part of 8 inches to secure its durability. You will carry all your necessary staff for the round. 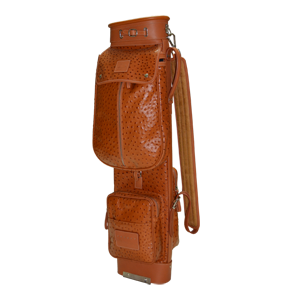 Fantastic, elegant and functional leather golf bag totally handmade combining high quality ostrich leather with high quality cowskin spanish leather. It has been designed for you to include it with your luggage when traveling since its dimensions can adapt to the car, train or even for the airplane. 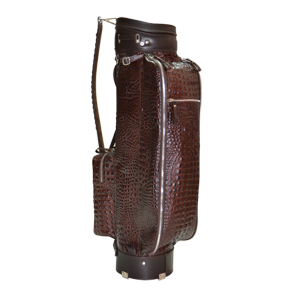 Fantastic, elegant and functional leather golf bag totally handmade combining high quality crocodile leather with high quality cowskin spanish leather. It has been designed for you to include it with your luggage when traveling since its dimensions can adapt to the car, train or even for the airplane. 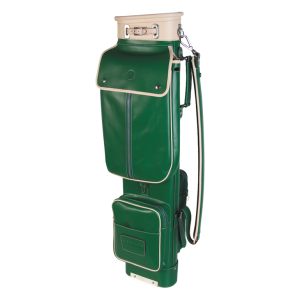 Elegant Green leather golf bag made in high quality leather. It has been specially made to play amateur or professional tournaments. 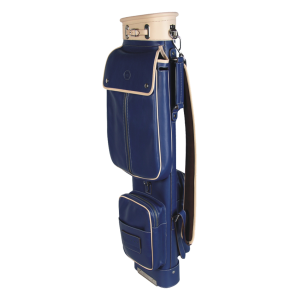 Elegant Blue leather golf bag made in high quality leather. It has been specially made to play amateur or professional tournaments. 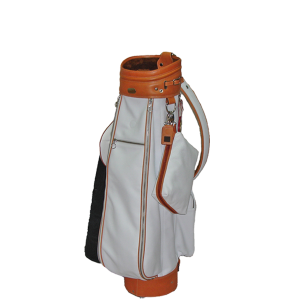 Elegant White leather golf bag made in high quality leather. It has been specially made to play amateur or professional tournaments. 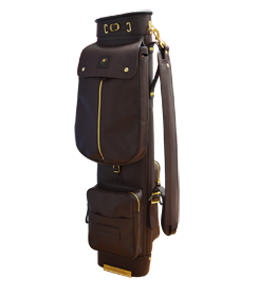 Dark Brown leather golf bag is made in high quality leather. It has been specially designed to travel with your weekend equipment. It is designed so that it can be included next to its equipment in a trip of short, medium or long distance, since its dimensions adapt to car, airplane, train or boat. 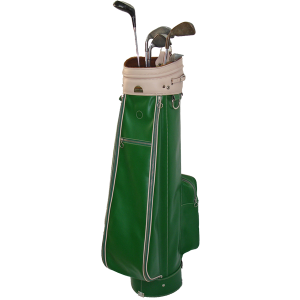 Green Travel Leather golf bag is made in high quality leather. It has been specially designed to travel with your weekend equipment. 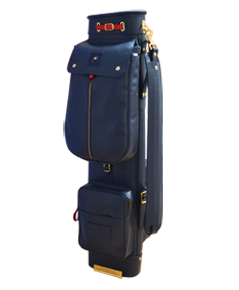 Blue Travel Leather golf bag is made in high quality leather. It has been specially designed to travel with your weekend equipment. 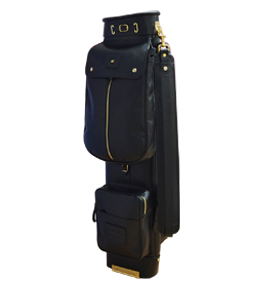 Tan Travel Leather golf bag is made in high quality leather. It has been specially designed to travel with your weekend equipment. 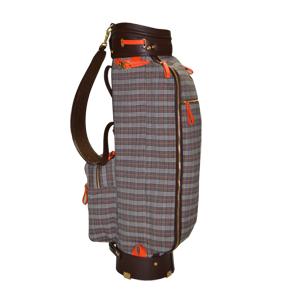 Luxurious and functional golf bag handmade combining high quality cowskin leather with houndstooth canvas. It has been designed to carry it in the golf trolley; regardless of it is manual or electric. 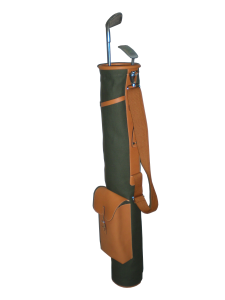 Simple, functional and elegant golf bag handmade combining high quality leather cowskin and canvas. It has been designed to be used on Sundays with your friends. Vintage Leather Golf Bag. 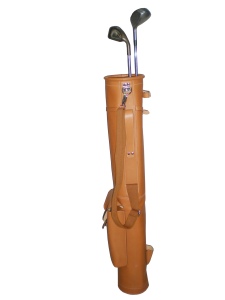 Simple, functional and elegant golf bag handmade in high quality leather. It has been designed to be used in competitions with your friends. Vintage Leather Golf Bag. 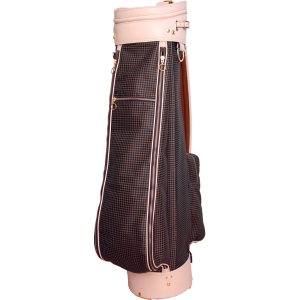 Simple, functional and elegant golf bag handmade in canvas. It has been designed to be used in competitions with your friends. Vintage Leather Golf Bag.